MANCHESTER, Conn. (April 9, 2019) – As part of the 2019 Common Read Project at Manchester Community College and Capital Community College, Wes Moore, award winning author of this year’s selection, The Other Wes Moore: One Name, Two Fates, will speak on the MCC campus Thursday, April 18, from 1 to 1:45 p.m. in the SBM Charitable Foundation Auditorium. The event, free and open to the public, is supported by a major grant from MCC Foundation. Moore’s book covers the fine line between success and failure in our communities and ourselves and examines what Moore calls “inflection points,” or pivotal turning points in his life and the life of another young man, also named Wes Moore. The story has been optioned by Oprah Winfrey and HBO to be made into a movie. He will talk about the importance of mentoring and role modeling in education. From 2 to 2:45 p.m. he will take questions from the audience. Moore, a combat veteran and social entrepreneur, is the CEO of Robin Hood, one of the largest anti-poverty forces in the country. 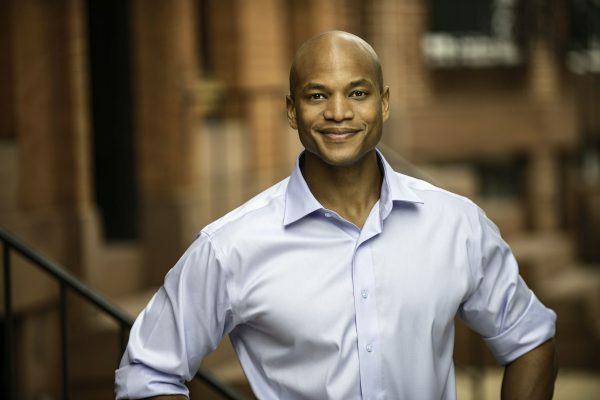 Other bestselling books of his include The Work, Discovering Wes Moore, and This Way Home. His Common Read selection will be available for sale and signing. The Common Read is a popular program implemented all over the country within schools and communities to help enhance and support more thoughtful decision making about the future. It invites readers to read and engage in one single text that explores controversial topics such as racism, ethics and poverty. The event is also sponsored in part by a grant from the Hartford Consortium for Higher Education, MCC Cultural Programs Committee and Capital Community College. For additional information, visit libguides.manchestercc.edu/TheOtherWesMoore.